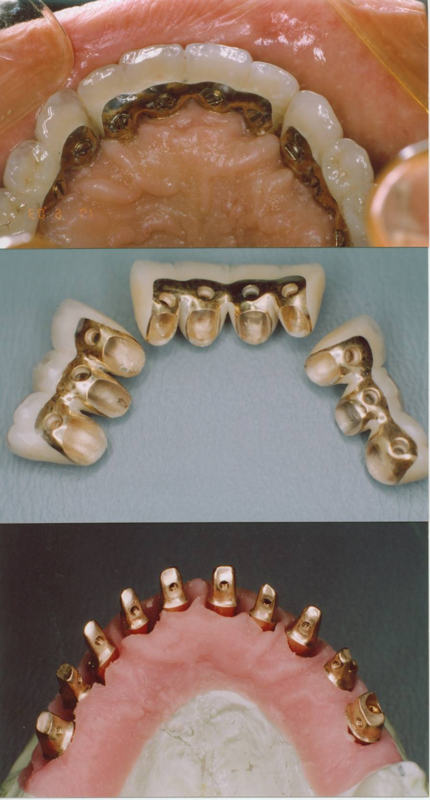 Access holes through centres of crowns allow retrievability. Access holes are later filled. In some situations, where retrievability is required, a screw bolting the implant crown down onto the abutment is preferred. An access hole for the screw passes through the chewing surfaces of the implant crown. 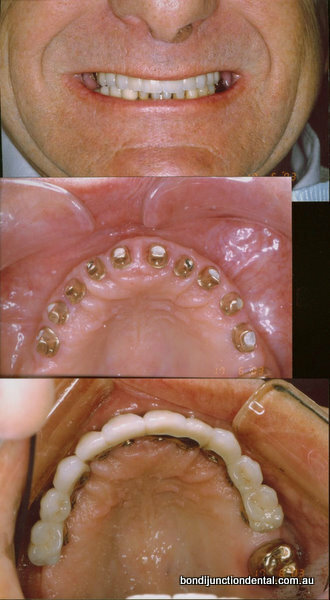 The access holes are later filled in with tooth coloured filling material and can barely be seen.The appliance is bolted into place, can not be removed by the patient but can be removed by the dentist if required for maintenance.Advantages:Screw on implant crowns and bridges can be removed by the dentist for maintenance and repairs.Some complex large restorative work can be left in place for a trial period and then modified if required.Disadvantages:Porcelain around access holes may chip .Not quite as esthetic as cement on. 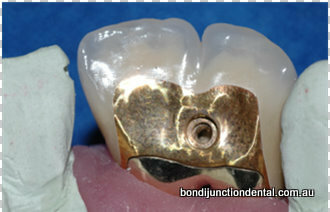 Some restorations are a combination of cement on and screw retained for additional security and use smaller lateral screws.